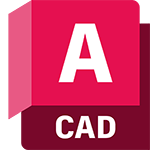 See how you can customize AutoCAD® software to increase your productivity. Share and access preferences, customize your UI, and extend the power of AutoCAD software with Exchange Apps. Prevent unwanted changes to your system settings. Take advantage of our flexible development platform. Customize the user interface to suit your needs. Integrate AutoCAD software into your workflow.